Winners of the EHHA Awards! 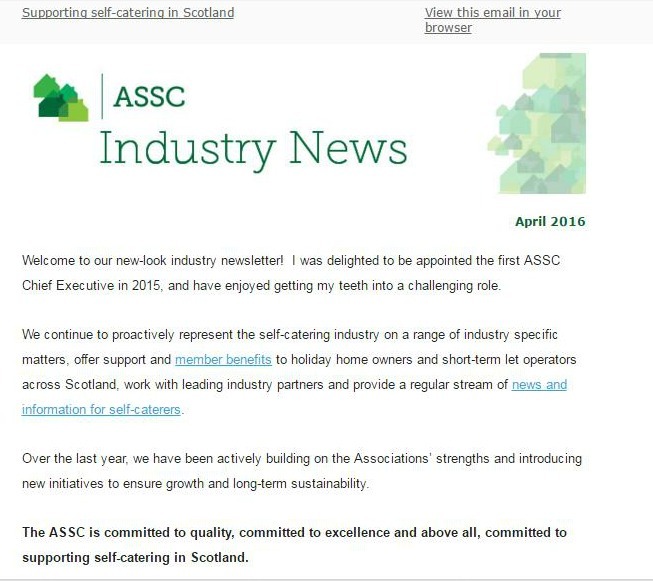 The ASSC is the primary source of news and information for all self-catering businesses in Scotland. Please see the menu on the right for links to the latest issues of interest to self-caterers or take a look at our News Archive. 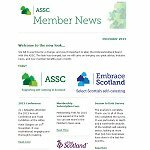 More news, information, insights and support are offered exclusively to ASSC Members via regular emails and the Members’ Area of this website. Join us and make sure you stay completely up to date. 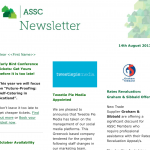 This newsletter is sent quarterly to subscribers and a wide range of interested industry and business networks. 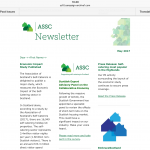 The ASSC keeps Members in touch, informed and up-to-date by issuing a regular monthly email. Join now to get this and all the other Member Benefits. The ASSC offers a list of self-catering businesses for sale by members and non-members in Scotland. We can also post ‘Business Wanted’ adverts on behalf of people looking to buy a self-catering business in Scotland. 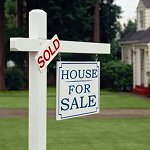 Click here to see self-catering businesses for sale.